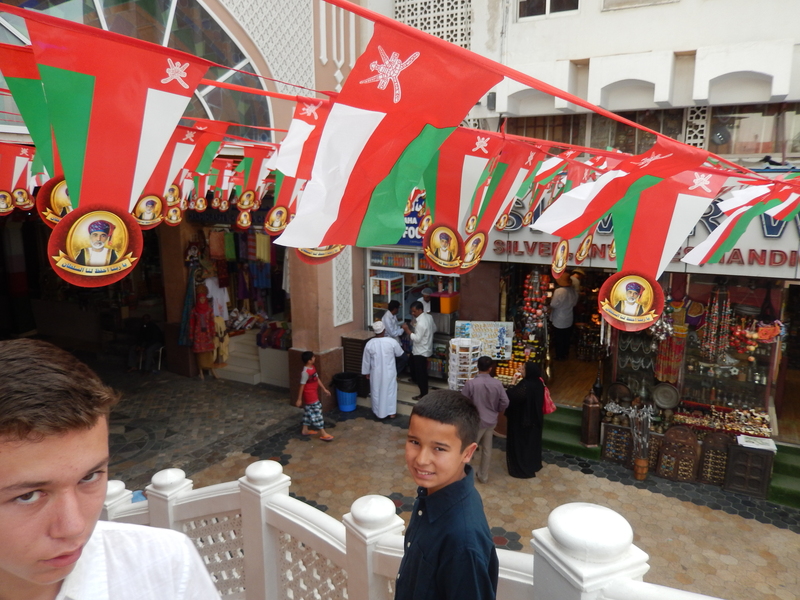 FACEBOOK JOURNAL OF OUR RECENT UAE AND OMAN TRIP. 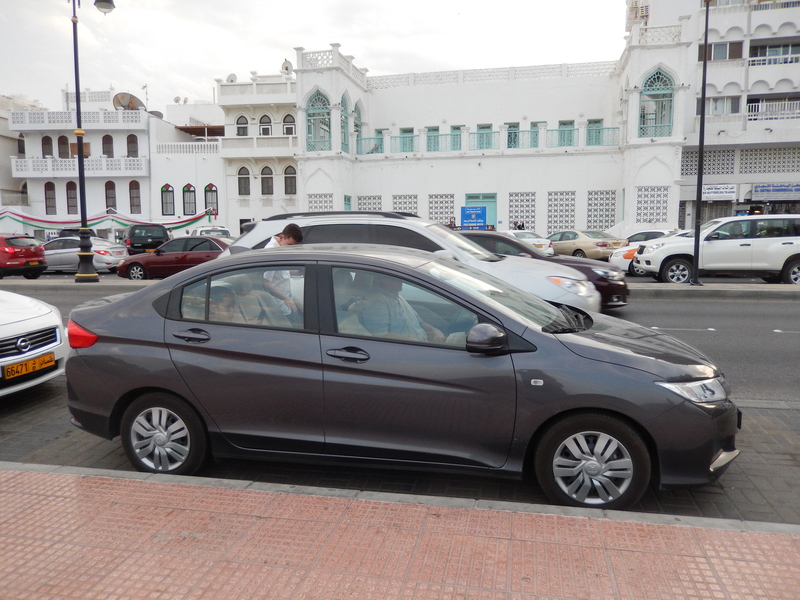 PART 4: Oman Road Trip- Muscat, Muttrah and the Al Dakhiliyah region. 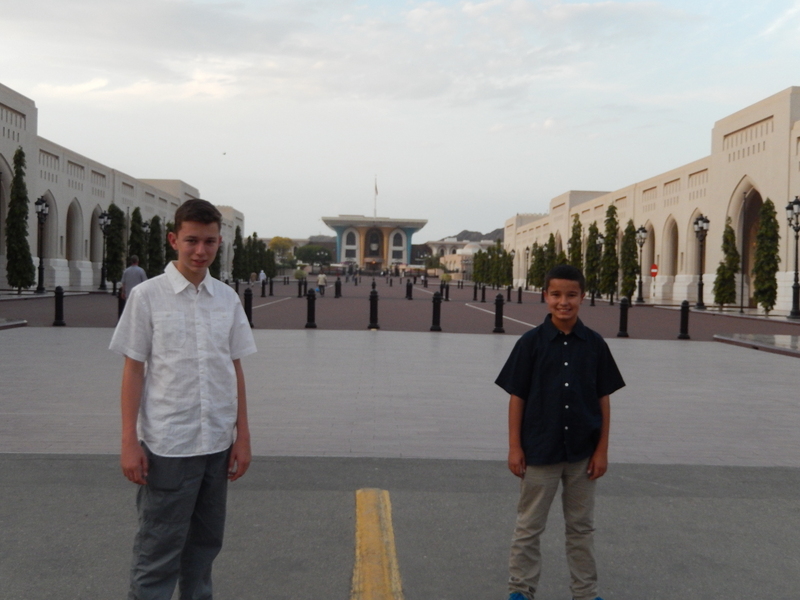 We arrived in Muscat, Oman. 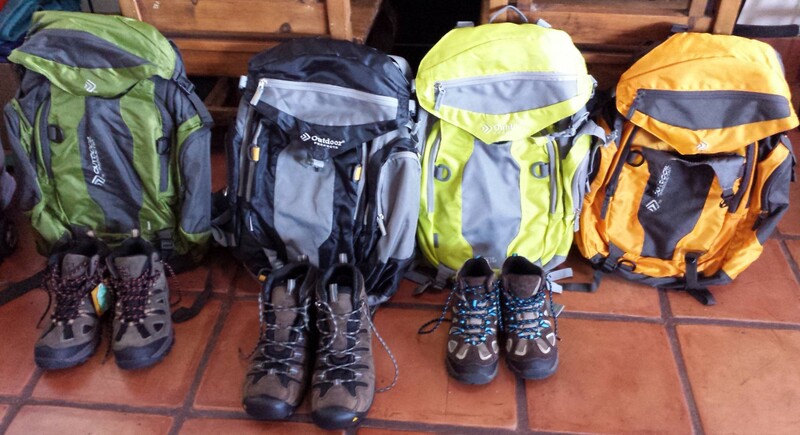 We picked up our rental car and we are off to explore. 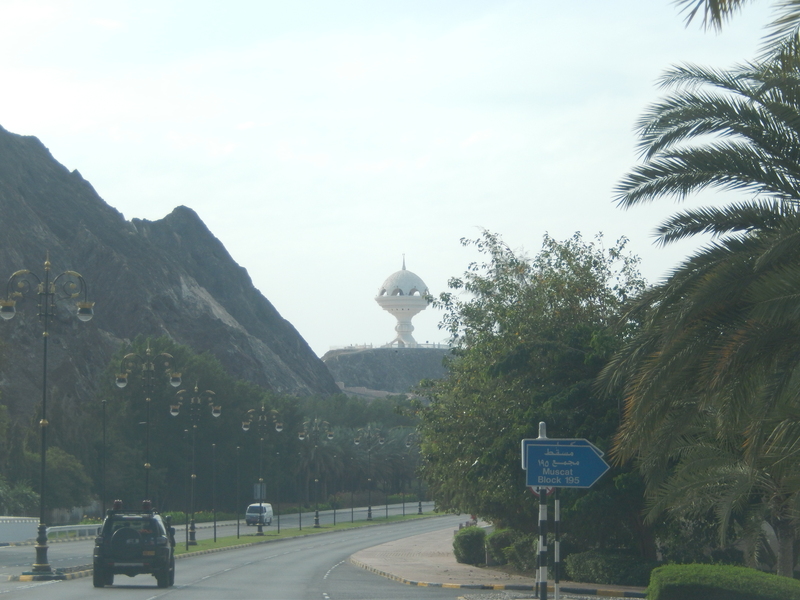 Oman too, has oil but Sultan Qaboos decided to preserve the country’s authenticity so there are no skyscrapers. 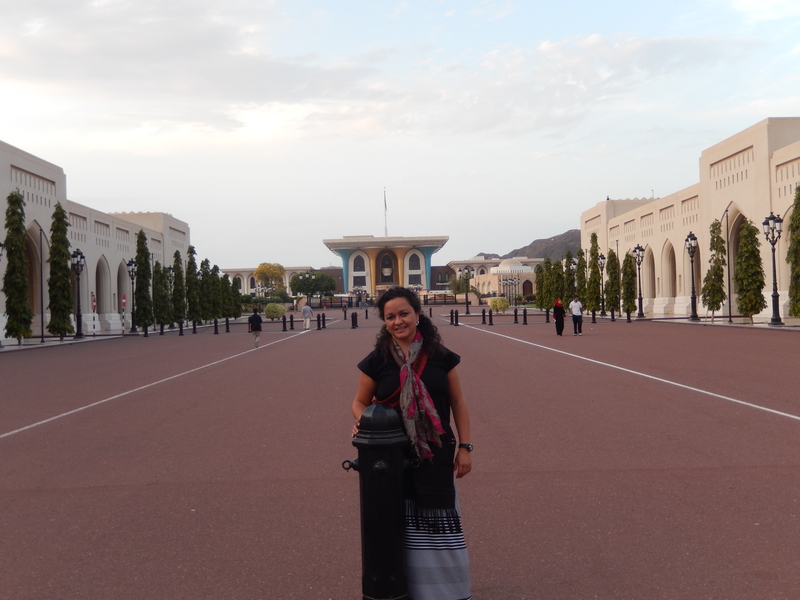 The whole city of Muscat is more like a seaside resort type. 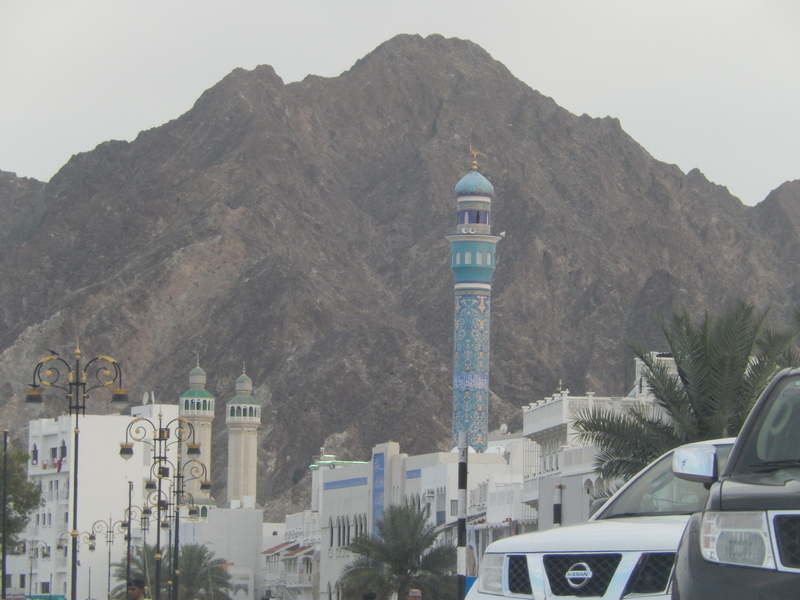 Muttrah is the harbour district. Their architecture is very specific, very cool. 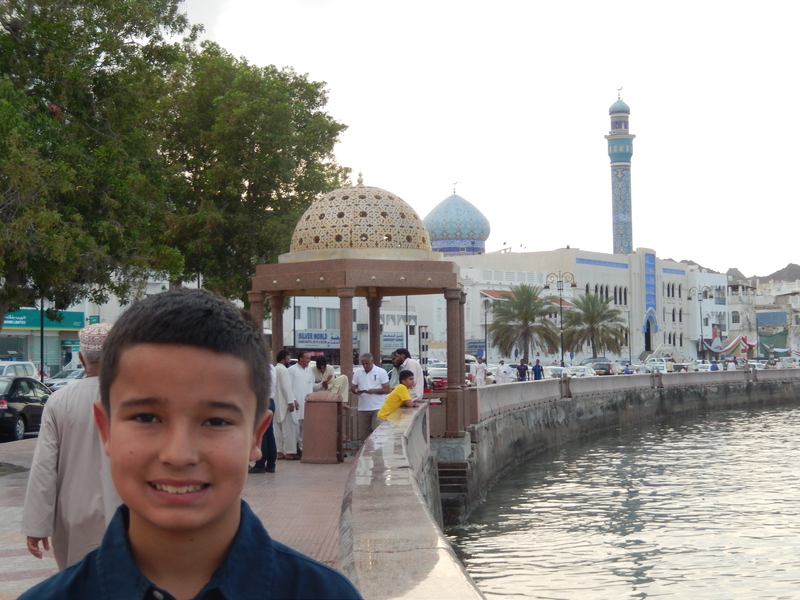 Every building is painted white or off white which makes it very charming against the aqua waters of the Persian Gulf. The city is surrounded by the most rugged sharp-edged, huge, bronze color mountains. The setting is truly stunning. At various peaks you can see fort towers. Some built by the Portuguese long ago. Just beautiful! 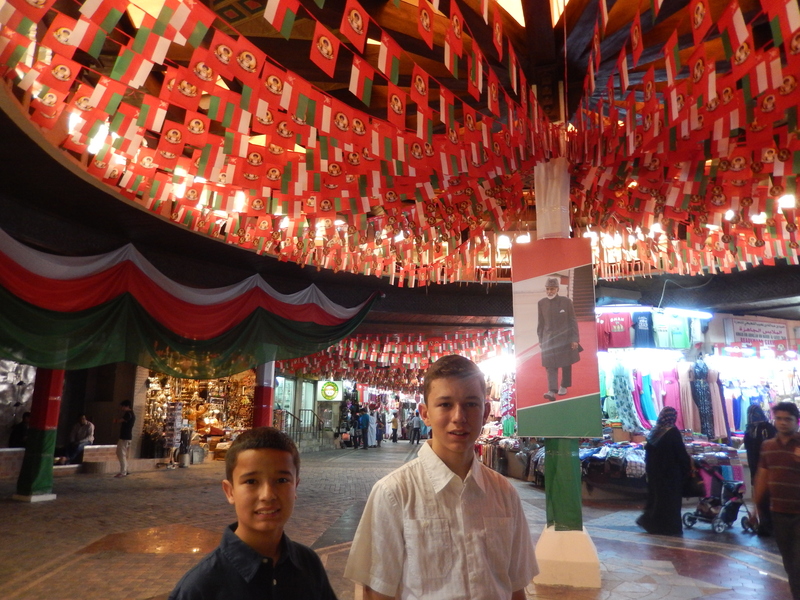 Oman is an absolute monarchy. Sultan Qaboos bin Said al Said is the self-appointed leader of the country since 1970 and the longest serving ruler in the Middle East. They absolutely love their Sultan. They believe he is the most inspirational leader in the world. 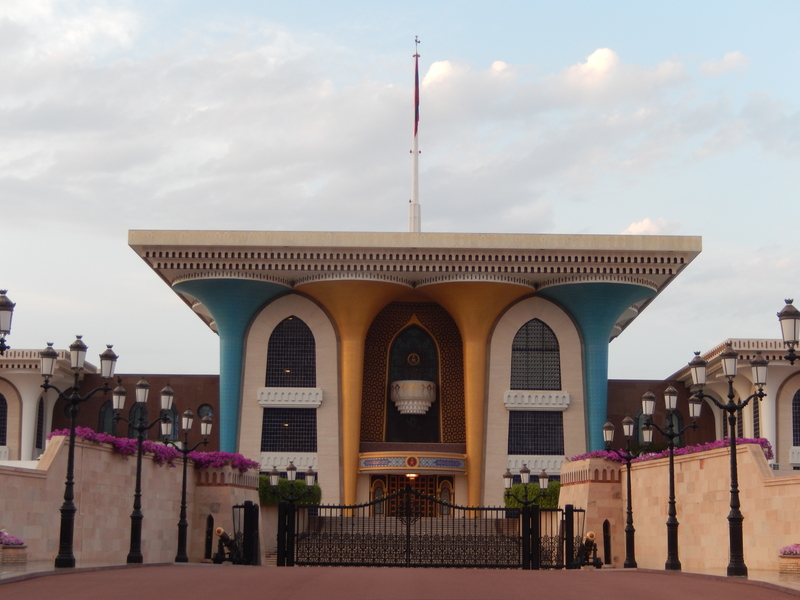 Al Alam Palace is his ceremonial palace. 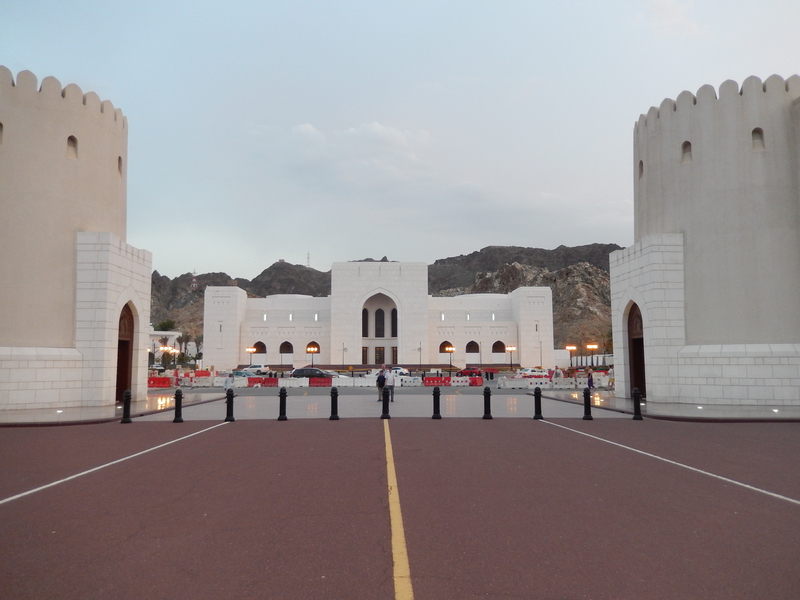 Oman ranks as the 59th most peaceful country in the world according to the Global Peace Index. 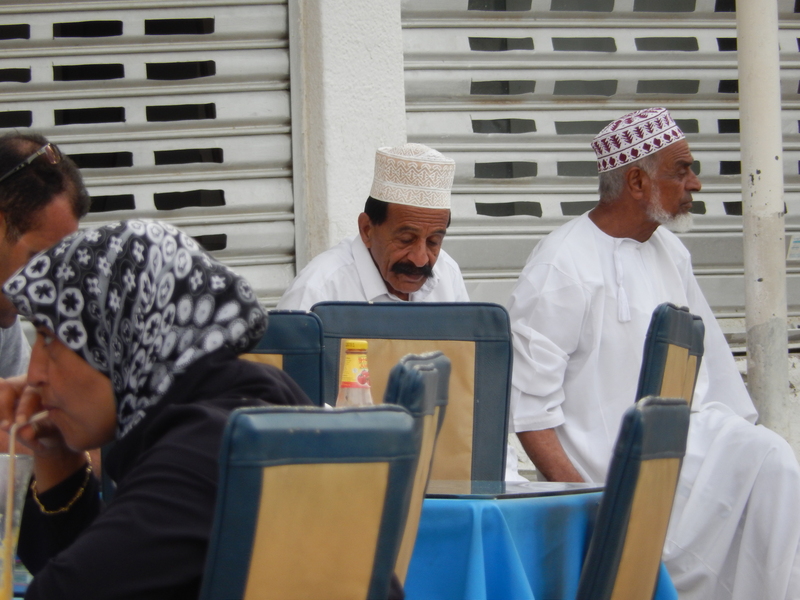 The Omani hats or ‘kuma’ are my favorite. More structured than other muslim hats and have really beautiful patterns. I have to be discreet when taking pictures. This feels very different than the neighbors (UAE). Much more mellow, much more serene. The mountains give it a remote feel as well. More my style. So far, I love it! 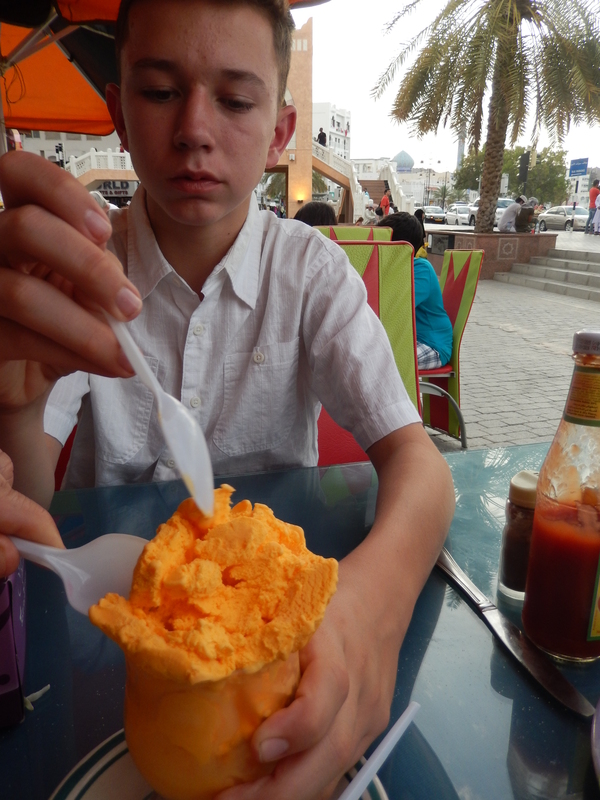 The most magnificent mango ice cream! 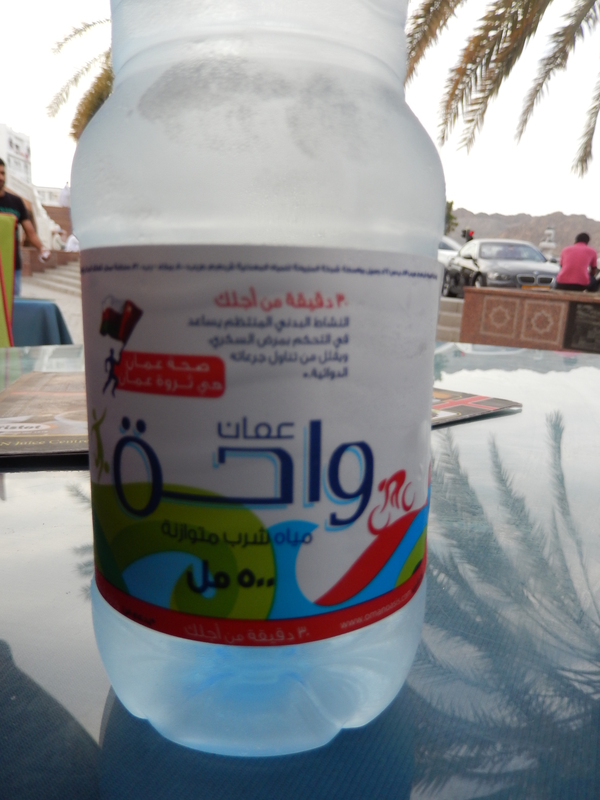 Oman Road Trip has officially begun. 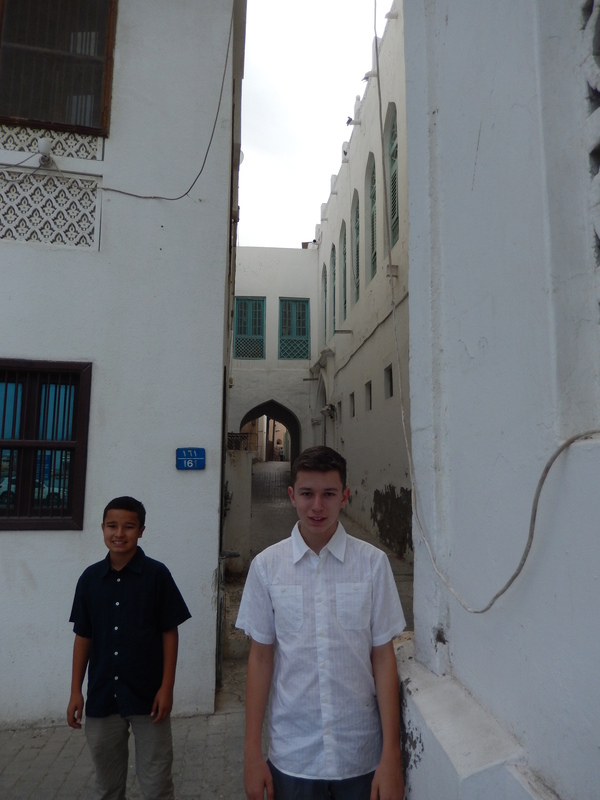 Two hours southwest of Muscat, we explored an area called Al Dakhiliyah. 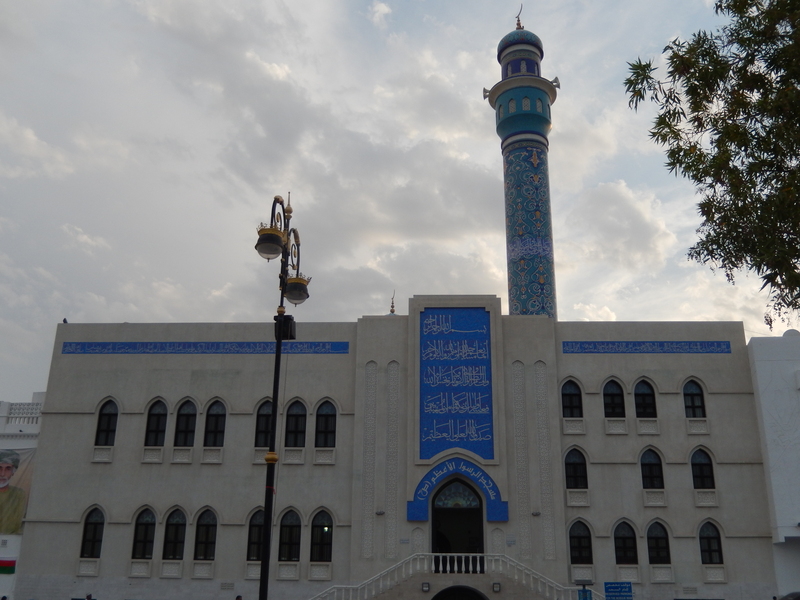 Our home base is the main city of Nizwa. 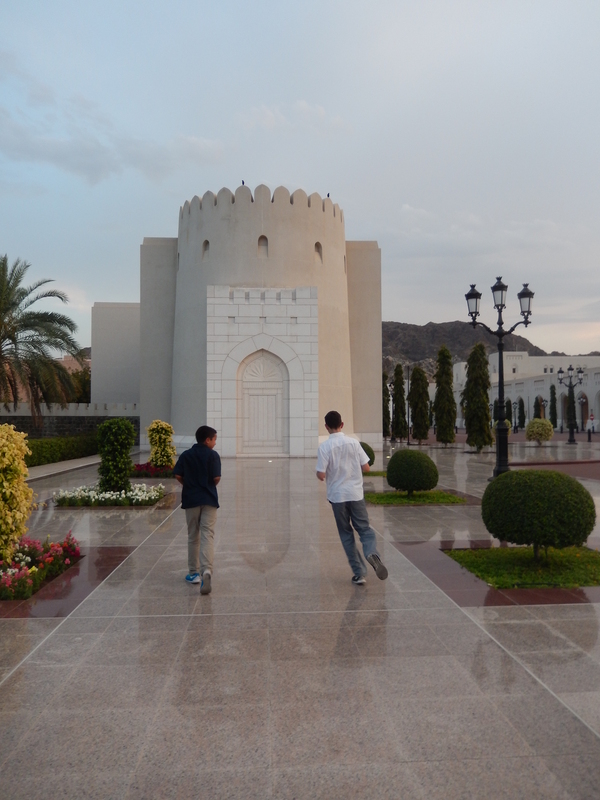 First, we visited JABREEN CASTLE, a magnificent Omani architectural masterpiece. 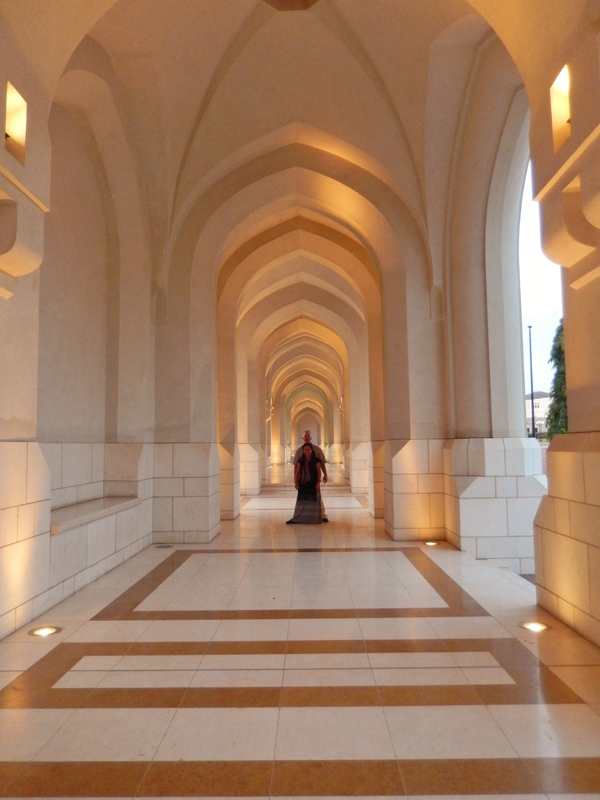 Built in the 15th century as the home of Imam Bel’arab bin Sultan Al Yarubi. His father was Imam Sultan bin Saif Al Yarubi, the Imam who removed the Portuguese from Oman. The castle is absolutely beautiful. 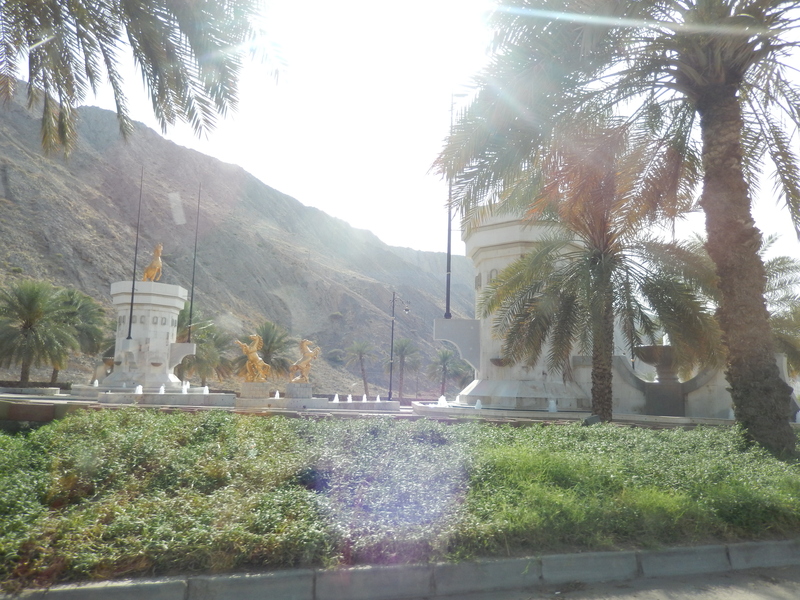 Surrounded by palm trees in a flat expanse surrounded by the rugged mountains that pepper Oman, its setting is stunning. 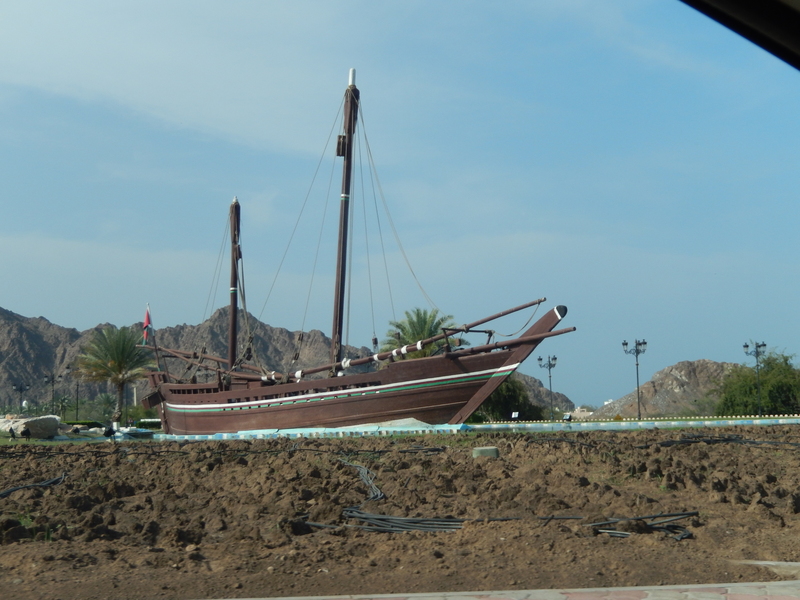 Then we drove to the town of Bahla to see the BAHLA FORT. The fort was built during the 12th century and it was declared a UNESCO World Heritage Site since 1987. However, it was “In Danger” for many many years until 2004 when it was fully restored and opened to the public. The fort is really big. The architecture again impressed us. 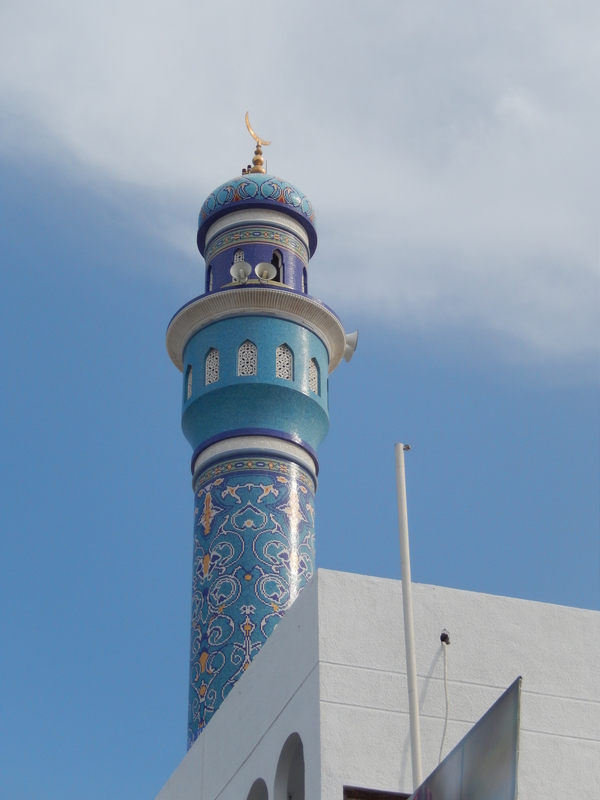 Such a gorgeous example of Omani design and architectural stamp. 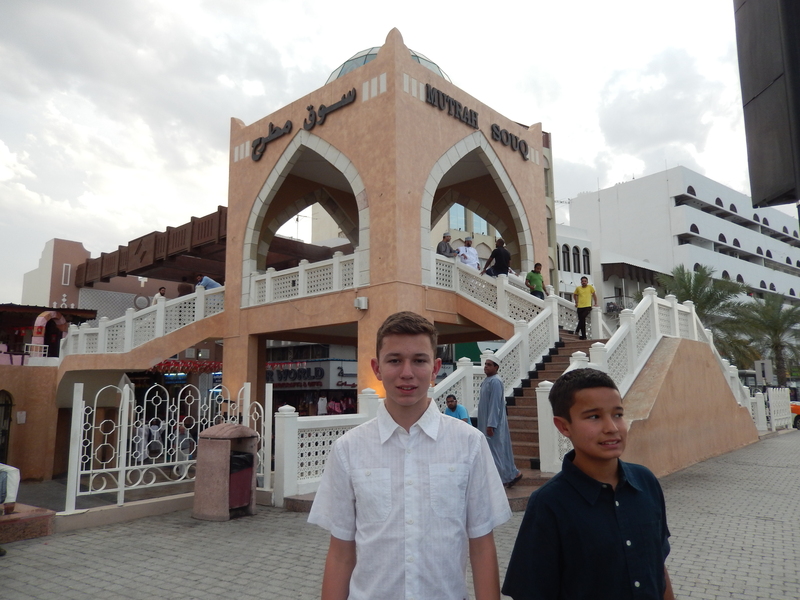 And speaking of falaj, at the end of the day we went to check out FALAJ DARIS, another UNESCO World Heritage Site. Back in Nizwa we briefly walked through its souk where we saw some typical pottery. 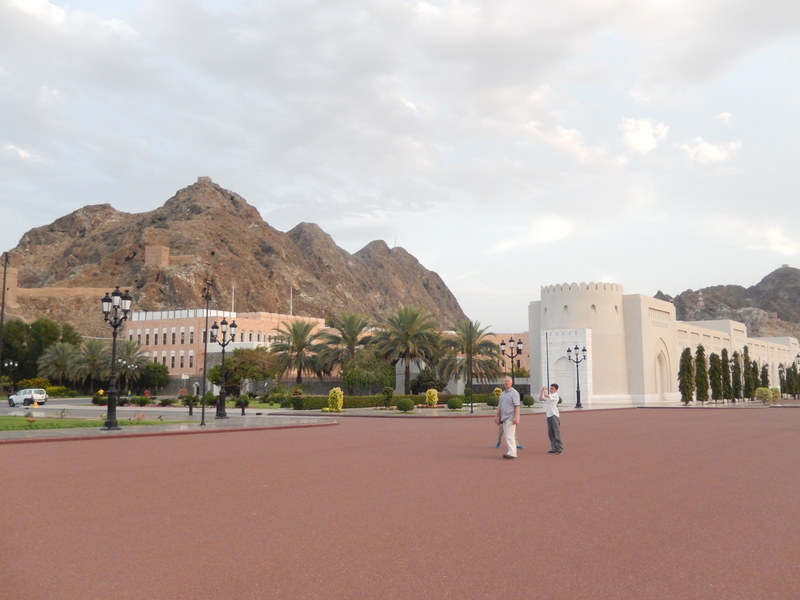 Tomorrow we will explore Nizwa Fort before setting off to Wahiba Sands to camp with Bedouins. 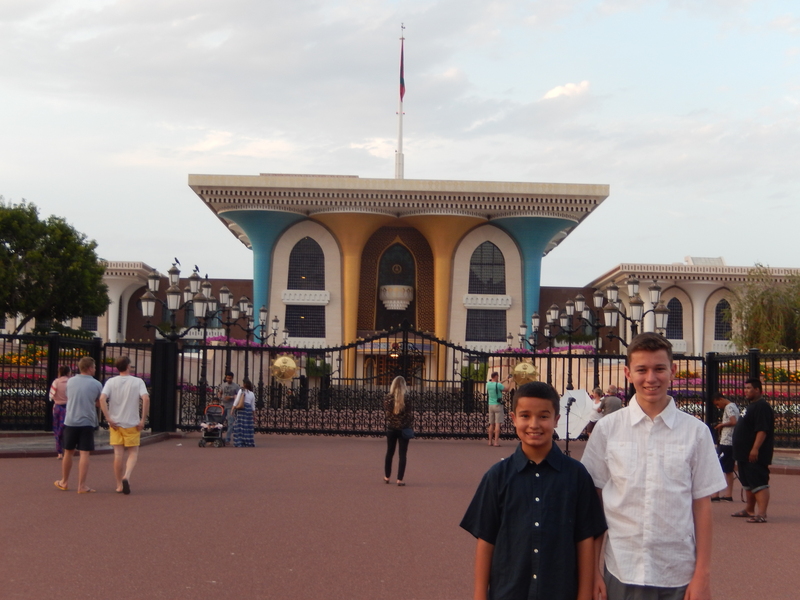 Previous Previous post: FACEBOOK JOURNAL OF OUR RECENT UAE AND OMAN TRIP. 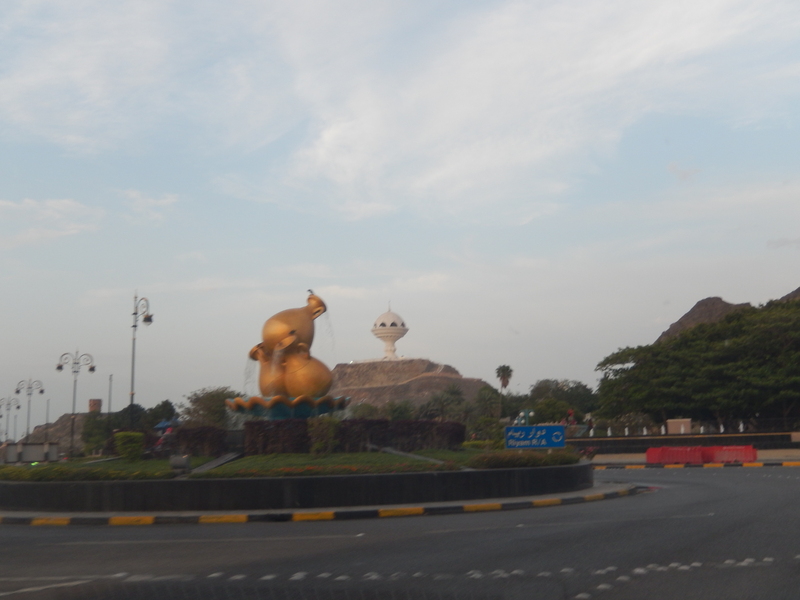 PART 3: Desert Adventure and Global Village, Dubai, UAE. Next Next post: Check out my interview with @TheGuyWhoFlies !